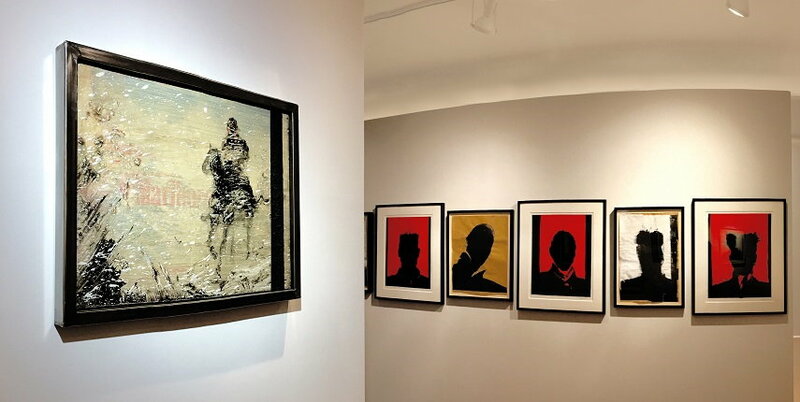 A Historical Selection of Richard Hambleton Art Pieces at Woodward Gallery! 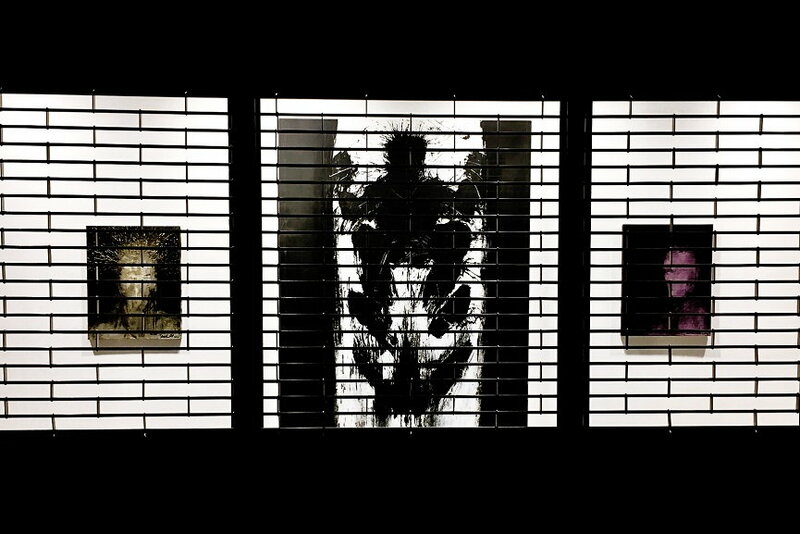 The strange, almost menacing shadow done in black paint on the wall gave us an electrifying jolt – recalls Alessandro Riva of Gallery Salvatore Ala, while remembering the New York in the 1980s, and his first encounter with Richard Hambleton art. The artist who rose to fame in the 1980s came to NY from Vancouver in the late 1970s. The city he arrived into was a hub for new art, one that will take the world by storm in the next few decades and will be defined as Street Art. With a documentary film about Richard Hambleton ready to be premiered this month in the USA, Woodward Gallery joins in the celebrations of this unique visual creative with the exhibition I Only Have Eyes for You. Considering we are talking about NYC’s precursor to Banksy, it is not surprising that a documentary film has been made about the life and work of Richard Hambleton. 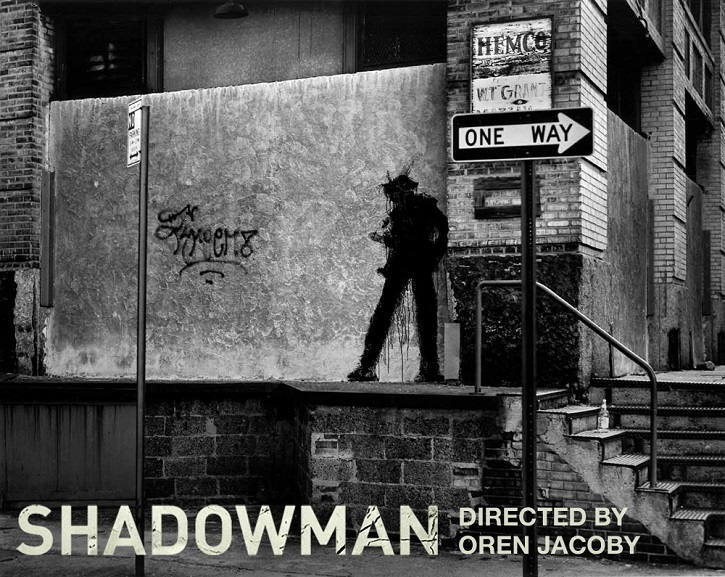 Directed by the Oscar nominated director Oren Jacoby, the film SHADOWMAN will premiere on the 21st of April at Tribeca Film Festival. The film works as a time capsule, as it takes its viewers into the forgotten era of the city, depicting its vibrant urban art scene, but also as a redemption story of an artist who by the time he reached the fame and was in high demand, also fell as a victim of drug addiction. This rogue artist, whose works of dark, mysterious silhouettes haunted the walls of Manhattan buildings, moves his works to Woodward Gallery this April. 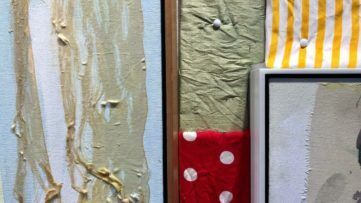 The exhibition space will show the historical selection of his paintings in its Lower East Side level windows, making it a 24/7 experience, as envisioned by the Hambleton himself. From Ottawa, Winnipeg, Regina, Toronto, Calgary, Banff, Chicago, New York, to Montreal, Victoria, Seattle, Portland, San Francisco, and Los Angeles, the cities in North America testified to artistic development of Richard Hambleton. His Image Mass Murder works of public art unsettled the low crime rate neighbors; the play on the Marlboro cigarette man in the 1980s, and the shadowy silhouettes painted all over the globe, brought Richard Hambleton a cult-like fame. He also visited almost every of the European capitals, leaving behind the black-colored Shadowmen. 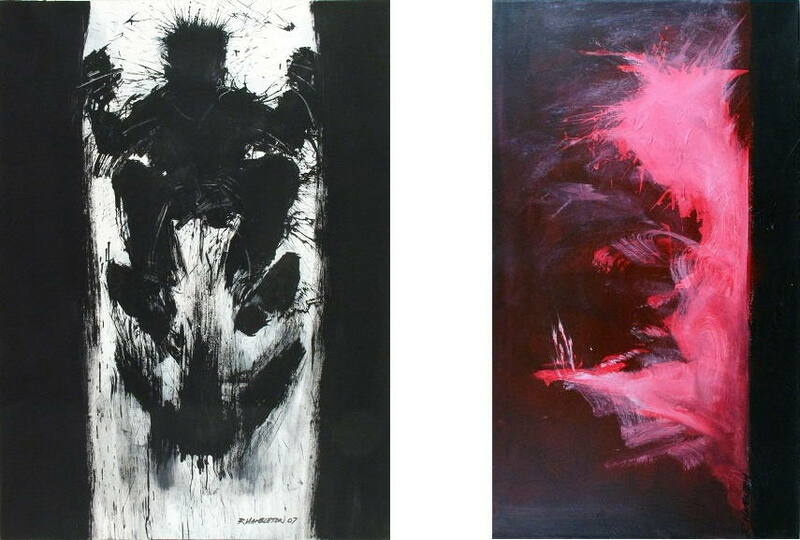 With strong gestures, splattered color, and comic book style, his Shadowman is an artistic expression situated, more or less, between Abstract Expressionism and a cartoon. 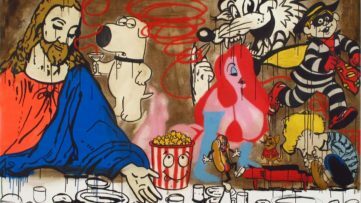 It put Hambleton aside from the simplicity of graffiti, and announced a new era in Street Art, full of complex works which intertwine art and politics. I Only Have Eyes for You exhibition of Richard Hambleton’s art at Woodward Gallery, 132A Eldridge Street, Ground Floor, New York, opens on April 4th, and is on view through May 5th, 2017. The visitors are invited to observe Hambleton’s works from the outside and through gallery windows, as the Hambleton intended in his vision. Special viewings are available by appointment only. 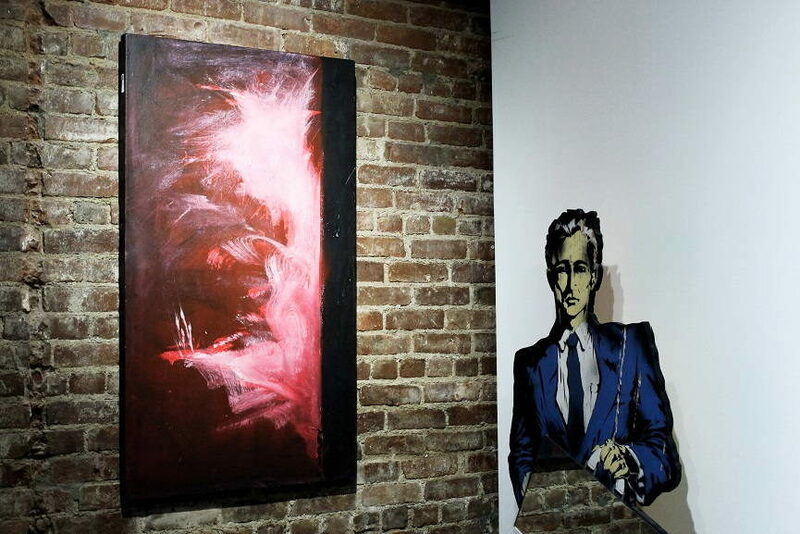 Featured images: Richard Hambleton art; Richard Hambleton exhibition view. 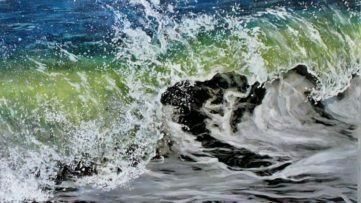 All images courtesy of Woodward Gallery.